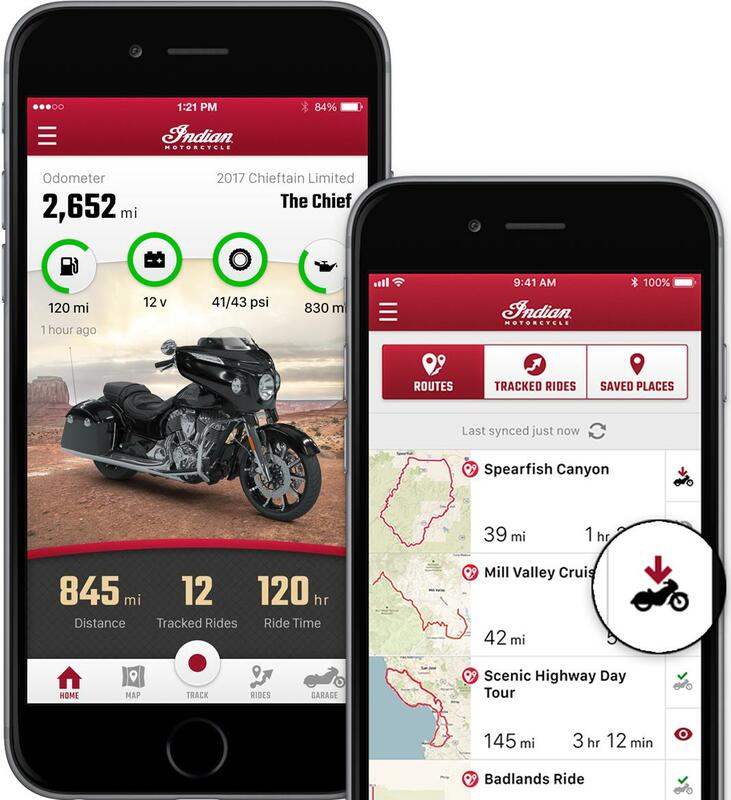 Indian Motorcycle have developed a new mobile App to work in tandem with their Ride Command touchscreen infotainment system, alongside a new software update for the display itself. 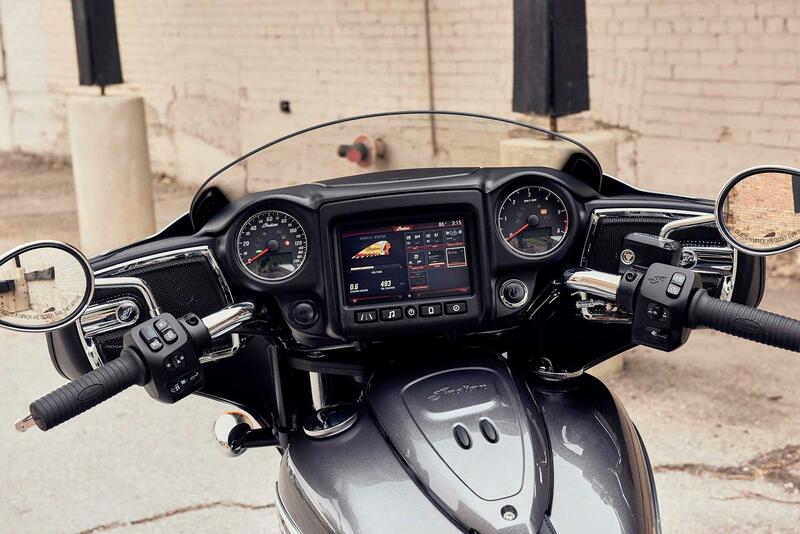 Appearing on a range of high-end Indian machines, the Ride Command unit features a glove-friendly, seven inch display, with the latest updates available via a visit to your local dealership, or downloading it to a USB device at www.ridecommand.indianmotorcycle.com. New Indian Chieftain and Roadmaster owners will receive three years of complementary map updates. Available as a free download, the Ride Command mobile app is able to wirelessly transfer planned routes to the bike’s navigation system via Bluetooth, as well as giving the user access to key information about their bike in remote locations – including fuel level, oil life, tyre pressures and battery charge. You can also track rides, view service interval recommendations and log any maintenance work, with push notifications available for important service reminders. You can also share completed or planned rides with friends on Facebook, too. As well as the app, the above mentioned website can also be used to plan rides with up to 100 waypoints along the way. These can then be connected to the machine, via the app. Speaking about the development, Senior Director for Indian Motorcycle, Reid Wilson, said: "We continually focus on enhancing the rider experience. Our industry-leading Ride Command infotainment system is an easy-to-use platform that enables us to continually expand features with exciting new software updates. "Pre-ride route planning and remote vehicle data accessibility are features our riders have asked for, and we’re excited to deliver these technologies." Find a used Indian for sale.